The Treaty of Paris of 1783 formally ended the American Revolutionary War. American statesmen Benjamin Franklin, John Adams and John Jay negotiated the peace treaty with Great Britain. In the Treaty of Paris, the British Crown formally recognized American independence and ceded most of its territory east of the Mississippi River to the United States, doubling the size of the new nation and paving the way for westward expansion. In the fall of 1781, American and British troops fought the last major battle of the American Revolutionary War in Yorktown, Virginia. A combined American and French force, led by George Washington and French General Comte de Rochambeau, completely surrounded and captured British General Charles Cornwallis and about 9,000 British troops during the Siege of Yorktown. When news of the British defeat at Yorktown reached England, support for the war in America faded in both the British Parliament and the public. England agreed to begin peace negotiations with the Americans to end the Revolutionary War. After Yorktown, the Continental Congress appointed a small group of statesmen to travel to Europe and negotiate a peace treaty with the British: John Adams, Benjamin Franklin, John Jay, Thomas Jefferson and Henry Laurens. Jefferson, however, was not able to leave the United States for the negotiations, and Laurens had been captured by a British warship and held captive in the Tower of London until the end of the war, so the principal American negotiators were Franklin, Adams and Jay. 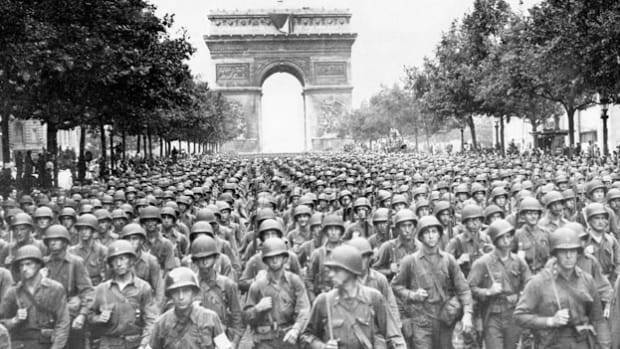 Franklin, who served as America’s first ambassador to France, had been in Paris since the start of the Revolution and was instrumental in securing French assistance during the war. Peace negotiations between British and American diplomats began there in the spring of 1782 and continued into the fall. 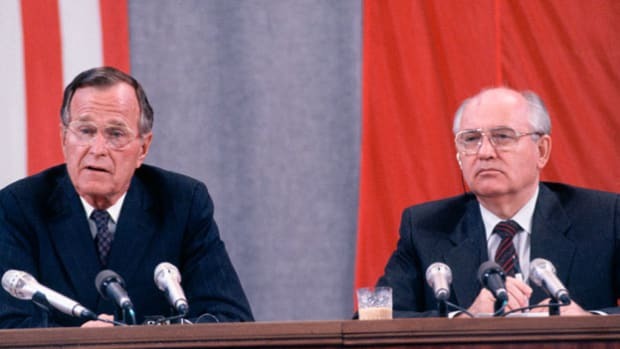 The British wanted to end the costly war, but peace negotiations stalled when England wouldn’t recognize United States independence – a point on which the American delegation refused to budge. After the election of a new, more pro-American Parliament, Great Britain soon gave in and accepted terms of American independence. In 1782, the newly elected British Prime Minister Lord Shelburne saw American independence as an opportunity to build a lucrative trade alliance with the new nation – without the administrative and military costs of running and defending the colonies. 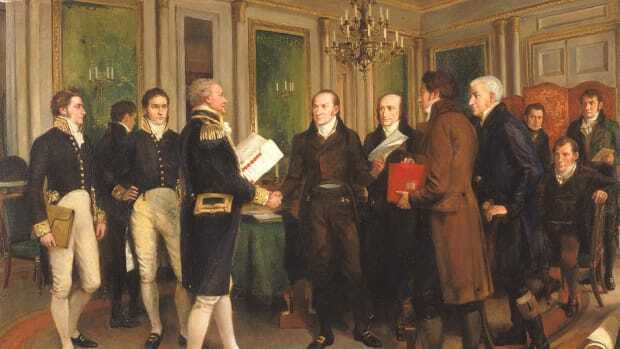 As a result, Treaty of Paris terms were very favorable to the United States with Great Britain making major concessions. 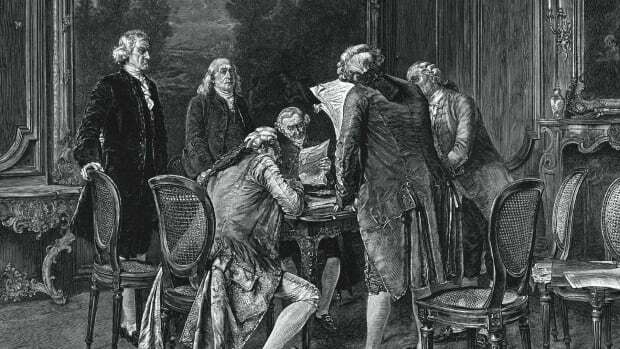 The treaty, signed by Franklin, Adams and Jay at the Hotel d’York in Paris, was finalized on September 3, 1783, and ratified by the Continental Congress in early 1784. In it, Great Britain finally gave formal recognition to its former colonies as a new and independent nation: the United States of America. Perhaps as important as U.S. independence, the Treaty of Paris also established generous boundaries for the new nation. As part of the agreement, the British ceded a vast area known as the Northwest Territory to the United States. The Northwest Territory – which included the present-day states of Ohio, Michigan, Indiana, Illinois, Wisconsin and parts of Minnesota – doubled the land area of the United States and helped set the stage for the westward expansion that was to come over the next century. In addition to the American colonists, other nations including France, Spain and the Netherlands fought against the British during the American Revolution. Alongside the Treaty of Paris, Great Britain signed separate peace treaties with each these nations in September 1783. Though the Treaty of Paris, 1783 formally ended the war for independence between America and Great Britain, tensions continued to rise between the two nations over issues that remained unresolved by the treaty. The British, for instance, refused to relinquish several of its forts in the former Northwest Territory, while the Americans, for their part, continued to confiscate property from citizens that had remained loyal to the British Crown during the war. In 1795, John Jay returned to Europe to resolve these issues with Great Britain. 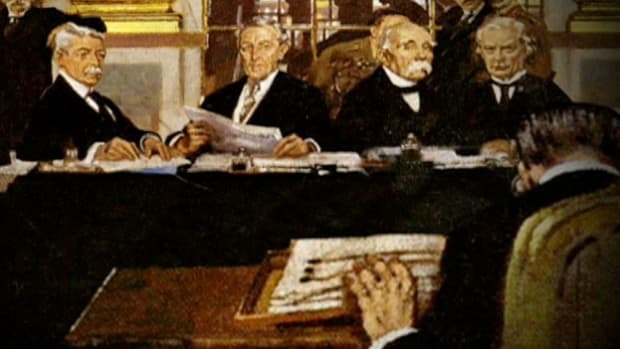 The resulting agreement, known as Jay’s Treaty, helped to delay another costly war between the two countries. Treaty of Paris, 1783; U.S. Office of the Historian. 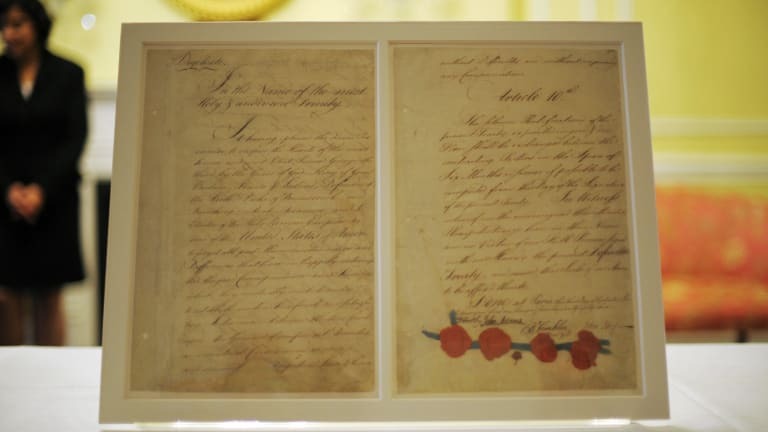 Treaty of Paris; Library of Congress.